“They spent many hours working with us to find the home tailored to our needs. Initially, we met them six years ago when looking for a property in the Calabash, NC area. They were very informative, professional and we settled on a Condo in the Calabash, NC area. We can’t express how happy we are that YOU are happy with your purchase. Repeat Buyers is crucial to our business and we know that if we get a referral or work with the same people again, we’re doing something right. Right along Beach Drive between the Carolina Shores Golf and Country Club are several condominiums and townhouse buildings. Country Club Road runs north and south across Beach Drive and condominiums start at about $60,000-$130,000. These condos were built in the mid-to-late 1980s and feature a variety of amenities, secure access, and great location. Those with school-age children typically utilize the Jessie Mae Monroe Elementary school, the Shallotte middle school, and the West Brunswick high school, all a part of the Brunswick school district. Residents may also utilize the North Myrtle Beach middle school and high school, but those are little farther away. Condominiums and Calabash are a great way to own a minimalistic home. 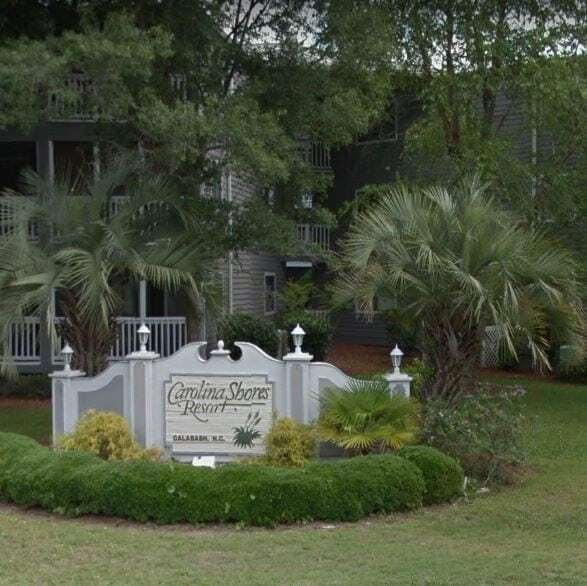 The exterior maintenance is all handled by the Association of the Carolina Shores Resort and residents have access to picnic grounds, sidewalks, swimming pools and hot tubs. Monthly condo association fees are approximately $200 per month, but be sure to check with new listings for exact pricing. These condos are typically 1 to 3 bedrooms and in sizes from 700 ft.² to over 1500 ft.². We are so excited to have repeat buyers in the same area but if you’re planning on relocating to or from Calabash North Carolina and you’re looking for a single-family home or condominium, give us a call. We’ve worked in this area for years and understand the market to help you buy and sell wisely. We look forward to helping you find the right home in Calabash.